Headers from Harry Maguire and Dele Alli gave England a 2-0 win over Sweden as they reached their first World Cup semi-final in 28 years. England dominated the ball in Samara and were good value for the victory, but did have goalkeeper Jordan Pickford to thank for avoiding a nervous ending. 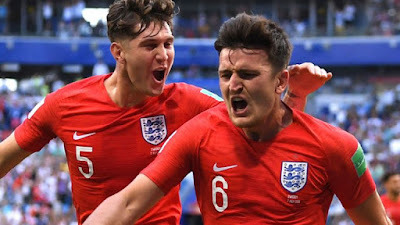 After a laboured start, England took the lead through Maguire's header from a corner (30), his first international goal and England's fifth from a set-piece at this World Cup, more than any other side.